From the moment you open your business, you recognize the importance of assets. Whether you’re thinking about your bank accounts, office furniture and equipment, inventory and supplies and countless other physical items, you understand the importance of initiating protective measures against loss. You may not consider the value of your words and ideas, but they are known as intangible assets, and they have major value to your company. When you assign a name or logo to your unique products or services, or you write anything (a book, song or computer program, to name just a few), those items can and should be protected as intellectual property. When you do this, you help ensure that you have exclusive rights to use those items to represent your business — and gain a means to protect those rights against use by others. In this first of a two-part series, we will look at trademarks, service marks and copyrights. At the simplest level, companies protect the names, symbols and even slogans that represent physical products as trademarks. Servicemarks perform the same function for company services. Starbucks employs trademarks to protect their branded coffee beans. H&R Block is a service mark because it represents tax preparation services. Since the two types of marks are so similar in terms of what they do and how to apply for them, even the United States Patent and Trademark Office (USPTO) refers to both as trademarks. The trademark process involves six distinct steps that you should carefully review on this USPTO page as soon as you recognize the need to protect a trademark. Expect to take time to perform preliminary research before applying, monitor the progress of your application, make adjustments based on USPTO instructions (known as office actions) and do more paperwork once your application is approved. The approval process generally takes six months to a year, but it can take more time, depending on the details. At this point, you still risk the chance that someone might contest your use of the mark after approval. And, even if you manage to successfully scale all hurdles, you retain the responsibility for protecting the mark’s exclusive use over the entire period when you want to continue using it. 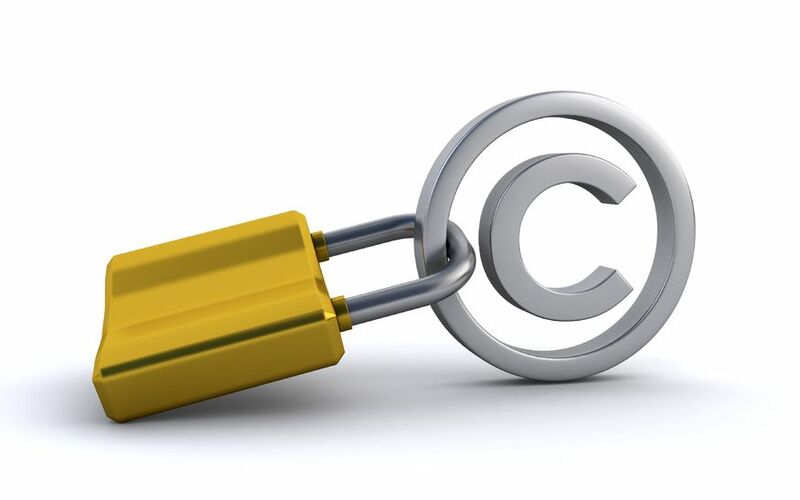 If your business involves authorship of books, songs, computer programs or virtually any type of written work, the Copyright Law of the United States grants ownership (copyright protection) to the initial author. However, that author might not be the person who produces the work, particularly if the item in question is a work for hire. In theory, putting a work in writing automatically creates copyright protection. That said, your ability to protect against plagiarism may depend on official registration of that work with The USPTO. The USPTO web page on Copyright Basics explains the basic principles behind copyrights. The registration process is relatively straightforward, provided that you use the correct form for the work in question. As a general rule, you can use one of the Basic Registration forms provided at the top of this page on the copyright.gov website. This point bears repeating: the USPTO takes a fair amount of responsibility for accepting applications covering only those marks and copyrights that are truly unique and valid. A typical approach to protecting your IP involves purchasing a special insurance policy that covers expenses related to protecting IP to ensure enforcement. These policies also help pay for your own defense if you ever face a civil infringement charges from another party. You can also retain an IP attorney to handle the related monitoring and other activities. If you have heard any of the news stories about copyright infringement cases in the song world, then you know that these cases can have high stakes in the millions of dollars. Trademark infringement cases are no less significant in their importance and value. If you have reviewed the information from the USPTO website, then you already know that you can do certain things toward protecting your intellectual property on your own. Particularly in the case of trademarks, however, retaining an attorney definitely helps to ensure a smooth application process — and can also help to protect registered intellectual property over the long term. Just as significant, ”finding an attorney who you enjoy working with is important. A good lawyer will have an interest in helping you grow you company, rather than simply billing hours.” Retaining the right legal help can and should be an important investment in one of your most important assets.